Today is a typical... summer day! Pleasantly warm with a cool northwest breeze, ideal weather for a swim in the sea! 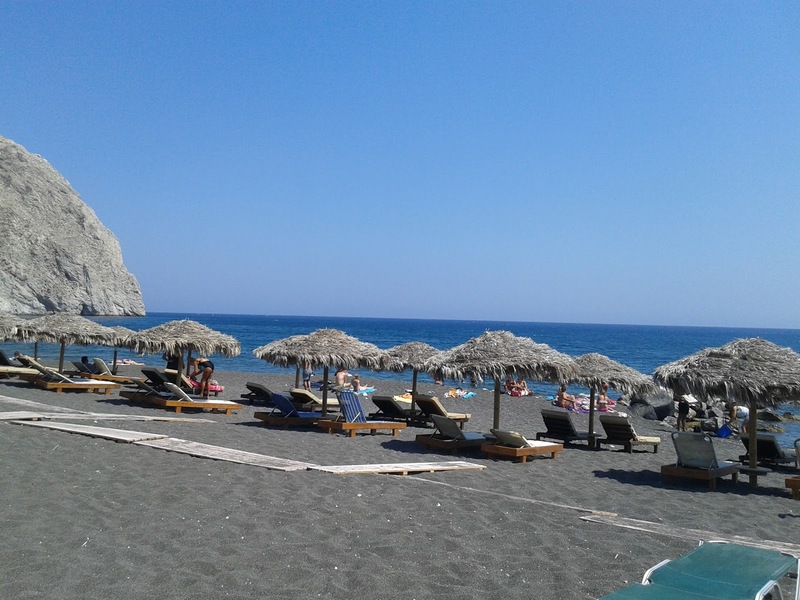 • Perissa - Perivolos: Crowded black beach without waves today, ideal for a quiet swim and loud music later in the beach bars! • Kamari: Swimming, ice cream and why not shopping for the ones back home. 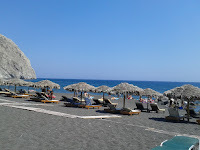 • Vlychada: Great beach for relaxation and sunset with little ripples. • Monolithos: Armbands, toys, buckets are all ... essential accessories for the family beach! The new summer facilities make it ideal for the athletic types!